Tonight 24 Apr. - 25 Apr. Living it up in Eastern Australia. Opens in a new window. 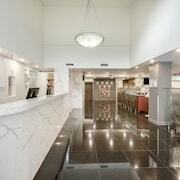 Very impressed of the architecture of the building , the entrance, the marbled areas , the room very comfortable with amazing views of the river and city , and finally we dined at the restaurant whith excellent outcome , the rump steak deliciously full of flavors, just how i prefer, my partner enjoyed very much the lamb . Will DEFINITELY stay there again . Congratulations to all that made our stay a memorable one , many thanks !!! What category of hotel are you looking for? Which hotels are closest to the New Farm airport? 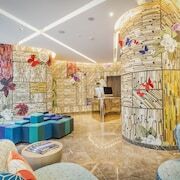 Where to stay near top New Farm attractions? What kind of hotels are in New Farm? 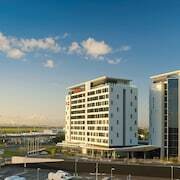 Which hotel chains are in New Farm? Upscale lodging choices in New Farm make it a great destination for luxury-minded travelers, and many visitors are sure to appreciate the riverfront, coffeehouses, and shopping. Tourists can also enjoy so much more including its parks. The Gabba, Queen Street Mall, and Roma Street Parkland are some of the top sights around the area. The city's natural setting is picturesque, including the riverfront and such places to visit as New Farm Park and Wilson Outlook Reserve. The city is well liked for its places to shop, and Merthyr Village is a favorite for retail therapy. Taking a ferry is just one of the top activities, while Brisbane River Walk and Sydney Street Ferry Terminal are sights to visit. 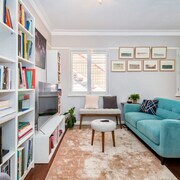 Heal House - With a stay at this 4-star bed & breakfast, guests can enjoy access to free breakfast and free parking, along with free WiFi. It's a favorite with Expedia travelers for its breakfast and clean rooms. 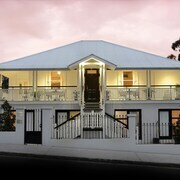 Spicers Balfour Hotel - Our customers like the dining options and breakfast at this hotel. This 5-star hotel features free breakfast, a restaurant, and free WiFi. 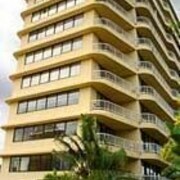 Kirribilli Riverfront Apartments - This 4-star apartment features an outdoor pool, free WiFi, and free parking. Expedia customers like its family-friendly amenities and pool. Popular places to visit outside the city include The Gabba, located 1.3 mi (2.1 from the heart of the city, and Queen Street Mall, which is 1.3 mi (2.1 away. 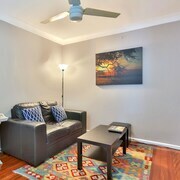 Settle into inner Brisbane when you stay in New Farm! 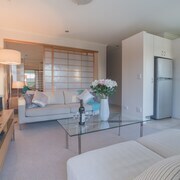 Enjoy the quiet peninsula atmosphere of New Farm on your next holiday. 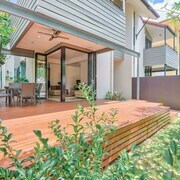 New Farm is a suburb just two kilometres east of central Brisbane. 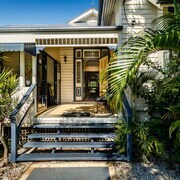 While this tree-lined neighbourhood affords easy access to Queensland’s capital city, it also boasts a unique charm. You can spend your time here in New Farm Park, or check out a cosy café for brunch. One thing is certain: When you’re in the heart of QLD, you need a comfortable place to lay your head at the end of the day. 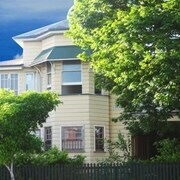 You can search through hotels in New Farm, Brisbane in just minutes, right here on Expedia.com.au. 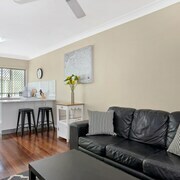 Book a room nearest your favourite neighbouring community, such as Woolloongabba, or choose your accommodation based on amenities. No matter how you select your room, the best time to book is now! 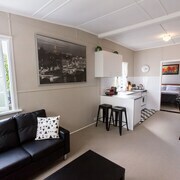 Your next adventure in New Farm starts here on Expedia.com.au today. 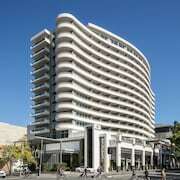 What are the most popular hotels in New Farm? 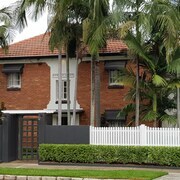 Are there hotels in cities near New Farm? 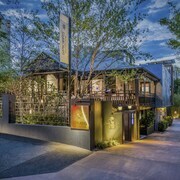 Explore New Farm with Expedia.com.au’s Travel Guides to find the best flights, cars, holiday packages and more!